Drawing upon more than 10 years of experience in the trade, the garden maintenance and landscaping services our company provides are second to none. Eliminating the burden of tiresome landscaping duties and perennial gardening chores, our pleasant experts are on hand to do everything needed to keep your garden looking lovely. When you need the assistance of professional gardeners, make sure to choose a gardening company who earn most of their work through customer recommendations. NB Complete Gardening Services in Enfield, Middlesex, offers a range of highly rated gardening services at competitive rates. The first rate service our company provides includes garden maintenance, tidying, and fencing. Additionally, we offer competent deck cleaning services and planting designed to make your garden truly flourish. Contact our gardening company today, in Enfield, Middlesex, to arrange for services from our capable gardeners. For garden maintenance and landscaping services you can depend on, choose a company with more than 10 years of experience in the trade. 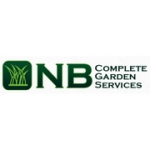 NB Complete Garden Services in Enfield, Middlesex, takes pride in sharing their expertise with customers looking for all manner of help around the garden.